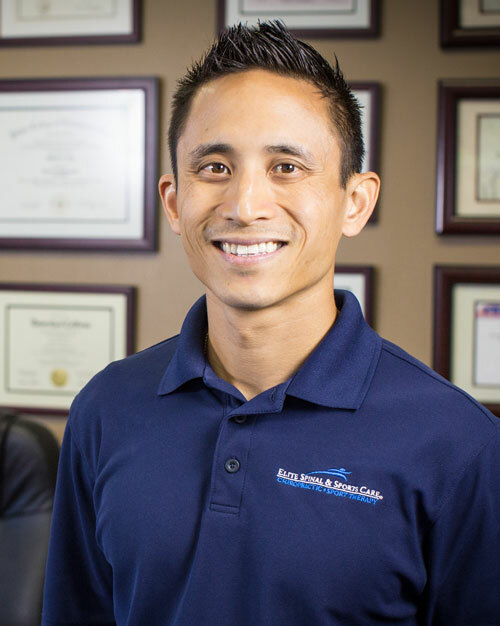 Dr. Justin Lau entered into the chiropractic health care field after a personal experience he had with extreme low back pain. While training for a full contact kickboxing tournament, he suffered a severe strain to his low back. After physical therapy and medical interventions did not resolve his pain or his condition, one of his martial arts students recommended Chiropractic. He was amazed to find that within a few treatments, he was out of pain and training again. It was the first time he was out of pain in over 6 months. From that point, he immediately made a career change. Originally on the academic route towards becoming a Physical Therapist, he was motivated by the power of the human body and the amazing level of healing the body can perform when allowed to do so without interference from outside sources. 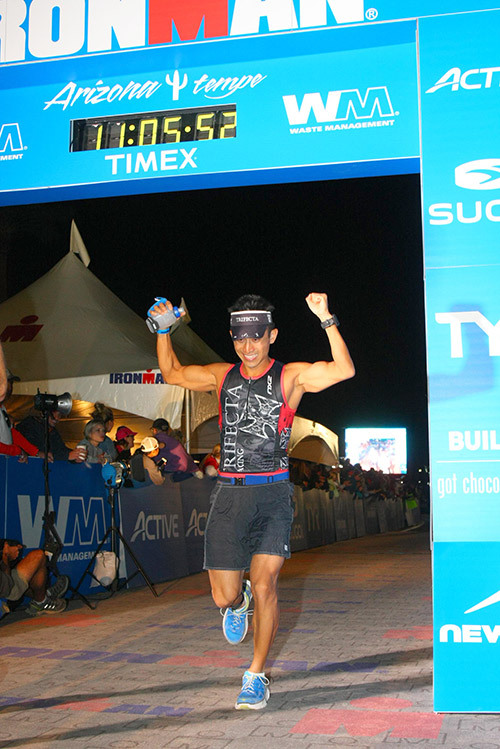 Dr. Lau at the 2014 IRONMAN in Arizona. Dr. Lau has always tried to maintain a healthy lifestyle and sports has definitely been an integral part in keeping that up. He began competitively running in high school, competing in both varsity track and cross-country. In 1990, he began studying Chinese Kenpo and earned his black belt in 1997. He competed in numerous martial arts tournaments both nationally and internationally. Currently his passions include strength training, cycling, swimming and running. Motivated by the spirit and determination of his patients, Dr. Lau competed in his first sprint distance triathlon in 2004 and has continued to go longer and faster. Since then Dr. Lau has competed in half marathons, full marathons (the most recent being a Boston Qualifier), 70.3 Half Iron distance triathlons and finished his first full IRONMAN distance event in 2014.